Employers sometimes require employees to show up at one job site to pick up materials and head to a second job site but the employer only starts paying the employees when they start working at the second job site. Or employers may make employees wait while equipment is being fixed but not pay the employees while they wait. 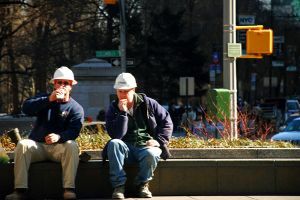 Employees then wonder whether they are owed pay for this “wait time.” While the Fair Labor Standards Act’s (“FLSA”) rules on “wait time” can sometimes be confusing the basic rule is that if the time spent waiting is for the employer’s benefit and the employee cannot use the waiting time for their own benefit then the wait time is compensable under the FLSA and the employee must be paid. An employee is on duty, is engaged to wait, where “waiting is an integral part of the job.” 29 C.F.R. § 785.15. An employee is off duty, is waiting to be engaged, where he is “completely relieved from duty” and where the time period is “long enough to enable him to use the time effectively for his own purposes.” 29 C.F.R. § 785.16(a). However, an employee “cannot use the time effectively for his own purposes unless he is definitely told in advance that he may leave the job and that he will not have to commence work until a definitely specified hour has arrived.” Id. One example of wait time that is compensable is the 2005 case of Chao v. Akron Insulation & Supply, Inc. In that case, the employer installed insulation in residential and commercial buildings which are the job sites. The employer required its full-time employees to report to the shop before going to the job site and they (1) clocked in to ensure they arrived at the job site on time – employees told had to be there at 6:00 am on a union job; (2) received assignments; (3) met fellow crew members; (4) to the extent necessary, collected and loaded materials and equipment on the trucks that were needed at job site; and (5) picked up the company-owned trucks to travel to job site. The court found that (1) the wait time was predominantly for the employer’s benefit because the employer required employees to report to the shop at designated times to receive assignments, assemble crews, load company-owned vehicles, and drive trucks to job site; and (2) employees could not effectively use this time for their own purpose even though they could drink coffee and socialize. Therefore, the employees were entitled to be paid for their wait time. If you are interested in knowing whether you’re entitled to pay for time you wait, contact the overtime attorneys today.